We moved to Colorado from a sunny state. I may exaggerate slightly. But I can promise we didn’t really own winter clothes for kids. So when we moved here, we had to look for winter clothes. I think you can justify buying coats and pants and boots for adults, because we aren’t going to outgrow them anytime soon, but for kids? No way. So. 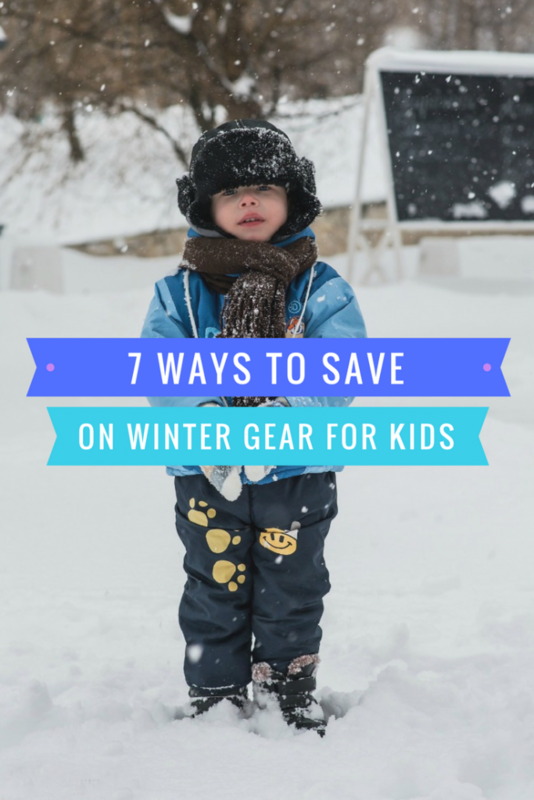 How to get good winter clothes for kids without paying full price? We’ve got your (warm, well-insulated) back. 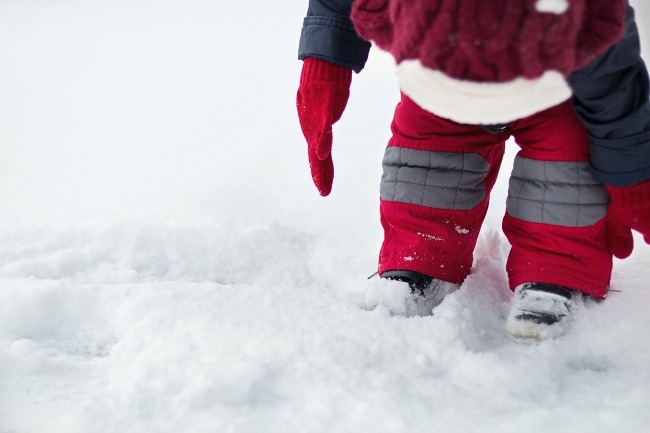 Fortunately, kids don’t often wear out their winter jackets or pants before they outgrow them. This means most of the gear at thrift stores is still in really good shape. 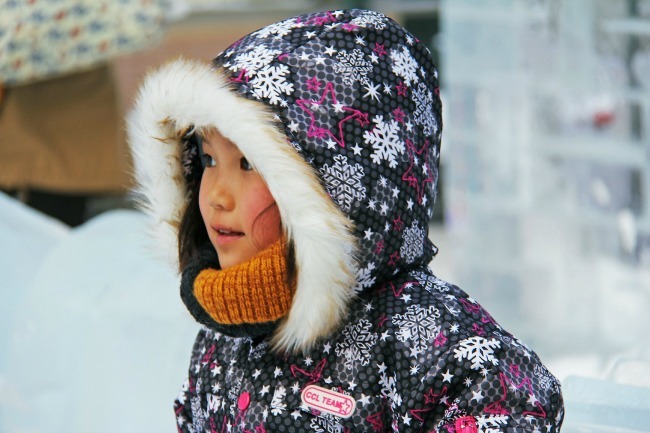 And some people do buy brand-name gear for their children – we’ve found Columbia, The North Face, and other expensive coats for great prices at our local ARC. Be willing to dig, and if you can, be ready to buy sizes your children haven’t hit yet. Because they will…and you’ll be ready. Also, keep an eye out all year long – thrift stores don’t follow seasonal trends, so you may find a great coat for a steal in mid-July. Finally, check several. Make a morning of it and try a few different stores to see what you can find. This is always, always our first stop to find jackets, snow pants, and ski gloves for the kids. It doesn’t hurt to ask anyone you know who has kids slightly larger than yours and see if they have anything you can use – we’ve gotten several pairs of boots this way! I love passing along clothes and knowing they’re going to get used as much as possible. 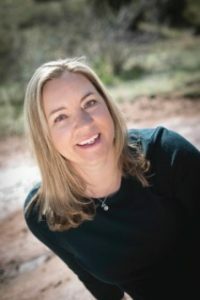 Consignment stores aren’t going to have the super-low prices of thrift stores, but they will still be lower than if you were to purchase things brand-new. They’re also pretty picky about what they accept, so you know you will get good quality gear. Often consignment stores will also have a weekend winter gear sale at the beginning of the season, so check yours to see if they have any good sales coming up. If you can hold out until January or February, prices on winter gear drop because most people already have their stuff. If you get this year’s coat or boots before that, you can at least shop for the next size up and get ready for next winter! Don’t forget to check online as well as in actual stores for sales. Garage sale season tends to be during the summer, so definitely keep an eye out then for the next winter. But you can find sales year-round on places like Craig’s List or Garage Sale Finder. The Facebook Marketplace will show you things for sale locally, and you can narrow your search to Babies & Kids (or Women’s or Men’s Clothes, if you want to look for you!) to help you find items. 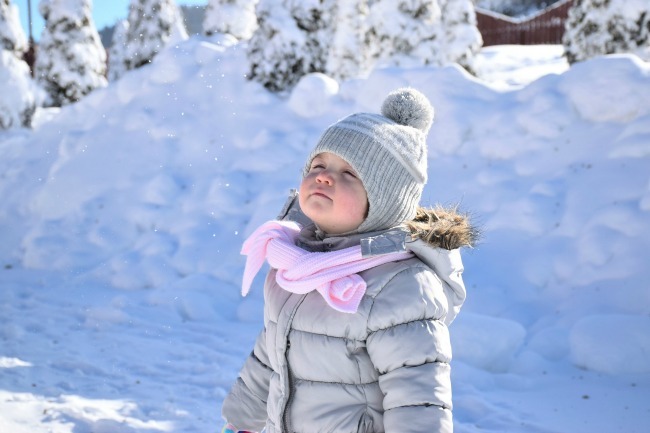 We got a great price on a toddler girls’ snowsuit on eBay – if you’re willing to look around, you can find some good stuff. Make sure you know what a bargain on your item is (if you’re in doubt, google to see what it retails for)…there are tons of deals on eBay, but occasionally there are people who ask way more than things are worth. Also, remember to check on shipping costs! Do you have any more tips on saving money on winter clothes? I’d love to hear them!